It’s been an astounding week of posts, especially since yesterday I kicked off the week with two interesting posts. The first a reblog by mswasse for Indie Authors about How do you define success, and an author interview with Vanessa Salazar about her first novel, Selima and the Merfolk and reading on Saturday at this year’s Bocas Lit Fest in Port of Spain. This is my first nomination for a blog award and as such I would like to thank Daniel Park, The Oddity Writer for considering me. Do check out his site, he is a quirky writer who like me has gone through the ins and out of battling writer’s block. On his site, you can find a collection of his work that he has written over the years and others that he is still developing. 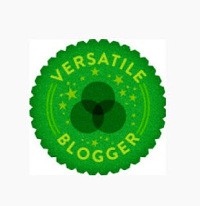 Also remember to add the Versatile Blogger and the Real Neat Blog pics to your post. 1. What is your fondest memory? When I was child my great uncle Jim would often visit my grandfather and whenever he was there he would tell us (my brother, my sister and I) fantastic stories. I always remembered the wealth of knowledge he carried around in his head, and I think listening to him, I developed a desire to make my own stories to share with the world. 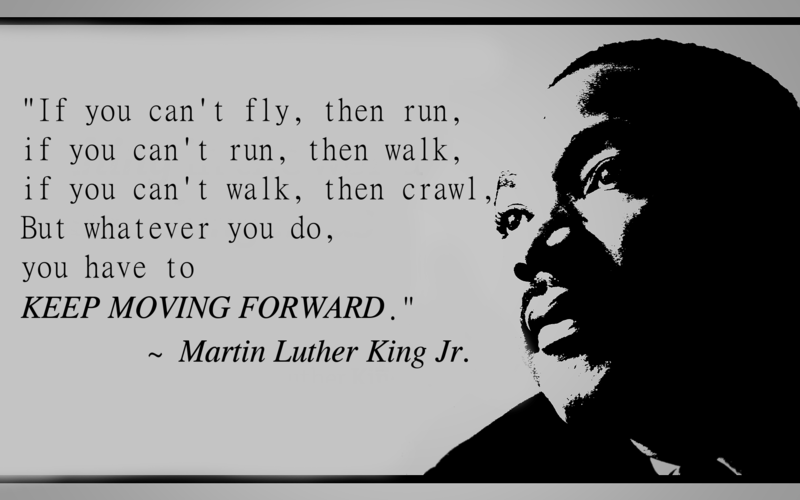 2. Who or what motivates you to do your best or to be the best you can be? My family, friends and some of the astounding teachers I have had over the years. Basically the people who believed in me before I ever thought to believe in myself, and so the circle grows. 3. Talk about your personal strengths or your personal weaknesses? Public speaking has always been difficult for me. In secondary school a friend of mine nominated me to speak in front of a group of teachers and students. Terribly shy, I clammed up and tried to overcome it by doing drama. In college I entered a few more competitions, I didn’t win any but I learned a lot, saw the smoothness of people who seemed to have the confidence and everything down pact. In Japan I entered still other competitions, this time daring myself to give a full length speech in Japanese. I still didn’t win, but it led me to toastmasters and a group of people who like to practice giving speeches and enjoyed reading books. What I’ve learned so far is that the fear is always there, and although it seems like this big discouraging wave waiting to knock you you over, it is just one obstacle, urging you to press forward. Despite the fear, because that’s where the really big win is. 4. How has your writing or WordPress influenced your life? It has caused me to open up, and provided me with a community that I am happy to be a part of. With respect to my work it has taught me to not always be so hard on myself to produce, that sometimes it is okay to relax and take a step back. I feel fortunate to have this space where I can share my work and help others. 5. How did you pick your blog name? My first blog name was they walk the night. That name referred directly to a novel I was trying to write about a group of wayward kids who appeared to be stragglers. Due to many things, one of them being writer’s block (really putting too much pressure on myself to create something great) that didn’t pan out. Or I should say I was a a constant state of re-editing. Months later, after recessing myself and my actions I decided to tackle the problem one day at a time, this time focusing on what I would do, hence the new name – Today, You Will Write. 6. Do you have a favourite book? 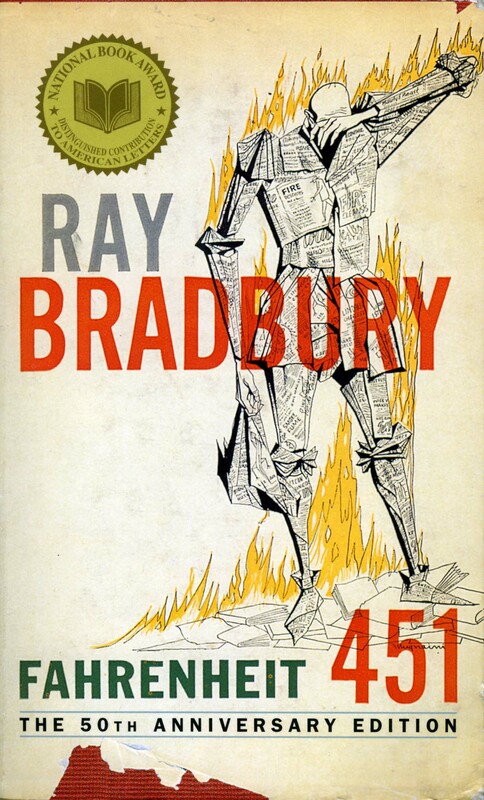 Fahrenheit 451 by Ray Bradbury is my all-time favourite book. I like Guy Montag and fireman who burns books, watching him change made me aware of the process of man to change and re-create himself. 7. What word of advice, what moral or message would you give your followers? I would offer you the sage advice that I received from Octavia Butler in her novel Bloodchild. That writing essentially is about communication, and sometimes you will have to give your work to other readers to find out if the message you are communicating is the one that is reaching them, your audience. And that if there is a problem with your story, it is up to you, the writer, to fix it. 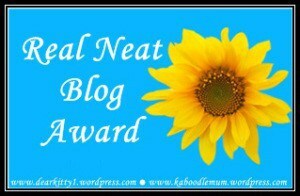 The Nominees who are now eligible for either or both the Versatile and the Real Neat Blog Award. 3. If you could produce a movie which one would you choose? So, thanks again, Daniel. To my readers, followers, fellow bloggers, thanks for taking this journey with me and making my life a little more interesting! Have a fantastic week each and everyone of you, and to the nominees, happy posting! Remember to check either Daniel’s site or Owl Wonder for tips on what to do, if you get lost at any point along the way. Thanks Veronica, great hearing from you all the same. Congrats to you as well and thanks for being one of the first movers! I’m honored Melissa. Hey, why don’t you send me “three things” so i can promote your blog or anything else you might be working on? I’m only “stocked” for a couple more episodes. Thanks so much, Melissa! Congratulations on your much-deserved awards–I really enjoyed your post. :) And thanks very much for thinking of me! 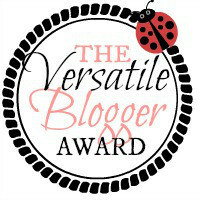 Hi Melissa ,a wonderful surprise to be nominated by you for the Versatile and Real Neat Blog Award.I am honored and pleased.Thank you. My sincere regards.Jalal Michael Sabbagh. I am not into freshly pressed as well, not my type to write neat long articles, becoming a writer isn’t my dream but I won’t reject the honour of getting freshly pressed if I am really worth it. WordPress has helped me a lot in terms of writing skill and somehow leads me into a better person than I was yesterday. You know WordPress is a world of sharing what your thoughts are with the world and somehow I learned that sharing my knowledge is caring and I got to learn something new in return. I have been having a dream to be a successful person since I was a kid and to make this happen, action is needed and somehow I am a determined person and that is where I have all my energy to do posting all this time! Thank you very much for the award. I always take every award seriously and respect. Okay Raymond, you’ve got an interesting perspective. It reminds me of Haruki Murakami, a Japanese writer who prefers to give his speeches in English because it allows him to be more direct. I guess the other way it just seems like a kind of pressure to perform, like with writer’s block. Anyway, it’s great you’ll accept the award, and I look forward to reading more of your work. Well done on your awards. I was very interested to read your answer to the public speaking question this is one that really frightens me, still have to find a way to get over this. Sounds like practice would be a good idea.